During the day, the rolling hills and miles of bright green and yellow fields south of Kalsgard are nothing if not picturesque. The Land of the Linnorm Kings, while daunting in winter, is peaceful and fragrant in summer, with long swards of thick grasses dividing the hectares of tall wheat and barley. Everything smells of rich loam and hidden water. But even this early in the year, the mists and fogs of the north rise quickly and thick as porridge, wetting everything by some sort of osmosis and chilling even the hardiest travelers. Even hours to the south, the salt smell of a sea fog crept into their nostrils as they rode in the night, tickling whiskers with a whiff of ammonia. What the smell of fog did not, however, was aid them against the torpor that lined their bones like a coating of lead. They’d been up for nearly a day entire now, and even Mitch was feeling the fatigue. He’d nearly fallen off his horse, sleep overtaking him, and the group made it’s way north toward the city. In the rear, Esteban did not seem to be feeling sleepy. He kept up a steady stream of tales, jokes, soliloquies on various esoteric subjects and a fair amount of flirtatious banter with the servants they’d liberated from the Ulfen raiders, mere hours before. Esteban seemed in his element, and regaled the women accompanying them with stories of Absalom, where he was from. As Nisha listened to him speak, however, she slowly stumbled onto a realization: all his talk, all his broad jokes, were purposeful. Slowly and by increments, Esteban was at once putting the women (who’d just seen a massacre and been subject to some very poor treatment in general) at ease, while at the same time eliciting from them, like a patient fisherman, various information. Again and again, Esteban’s stories would transmute into questions. And he learned much. 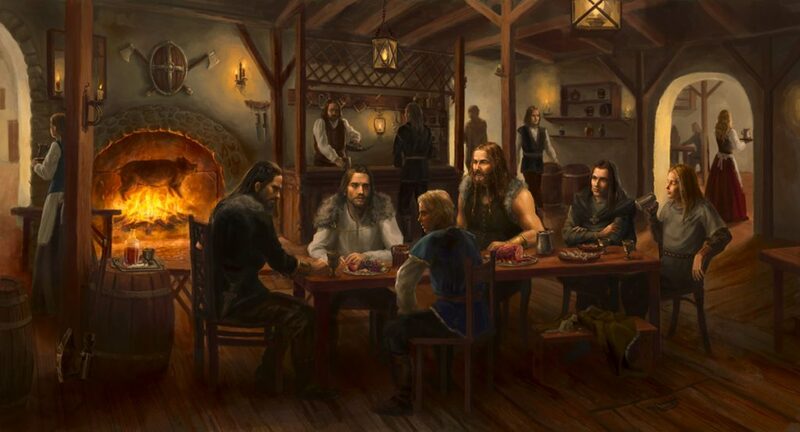 The servants did not know why Ulf had been transferred to a funereal boat; they only had heard some of the men joking about it, saying the young scout would be “joining him on the vessel.” It seemed a strange way to dispose of an irritant? Esteban observed in a much more circumspect and circumlocutory manner. But the women knew nothing more than that. Esteban did learn a fair amount of Ulfen culture as well, which perked the ears of more than one of the riders toward the front. 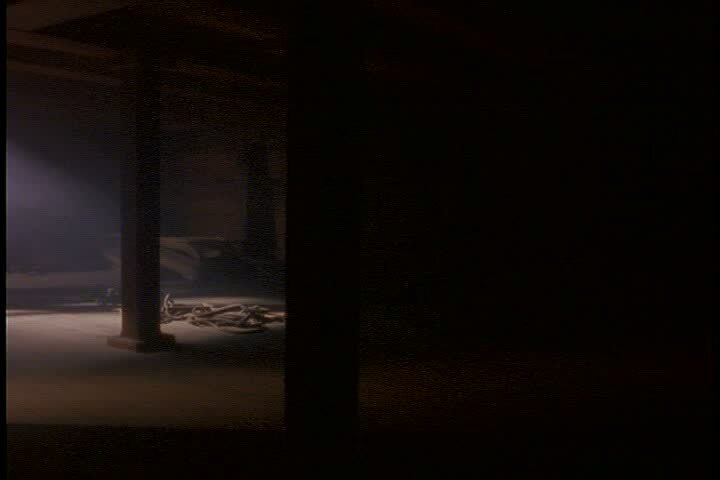 Several of the servant girls had families in Kalsgard (even those that hadn’t still accompanied the group heading there, rather than stay in a longhouse filled to brimming with corpses), and jobs were more plentiful in the city, with employers far less likely to presume overmuch on a woman’s consent. Ulfen culture is not kind to servants, ranking them just slightly above a slave (which they do have) and from a practical sense that difference is negligible. Kainyn joined Esteban in the rear of the train, his interest in the discussion getting the better of him, and he asked after the Ulfen tradition of sending a deceased man into the hereafter aboard a burning longboat. 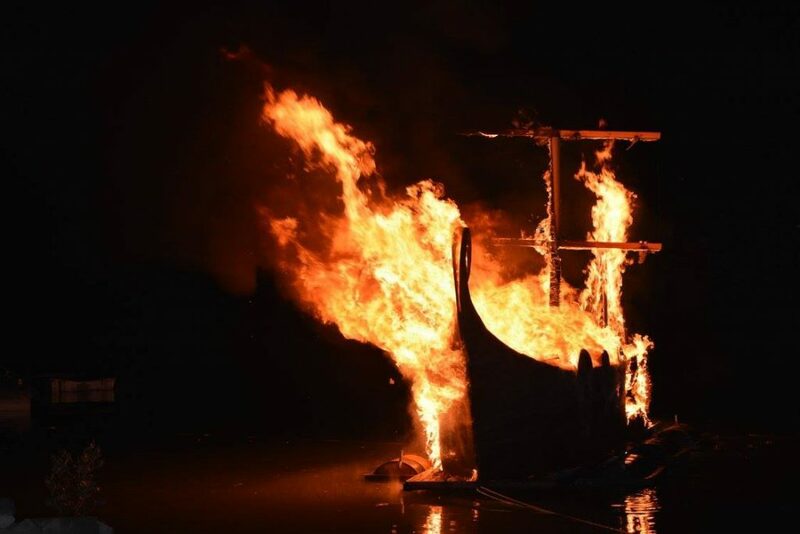 On the subject of funeral boats, the women were voluble: when a great man (and it was always a man) died, the most respectful manner to send him to the afterlife was on a longship pyre. They would choose an older ship, or one in need of repair (the Ulfen were nothing if not practical), build a tower of logs and pitch on the main deck, install some treasured belongings or memorabilia into the hold, then drag the ship into a deep place in the harbor and set it alight, sometimes by flaming arrow, sometimes by an igniting mechanism. The boats themselves would be loaded with accelerants – naptha, sometimes, whale oil more often – so the entire ship would burn quickly and completely. These pyres were usually done in the morning, just a bit after dawn. 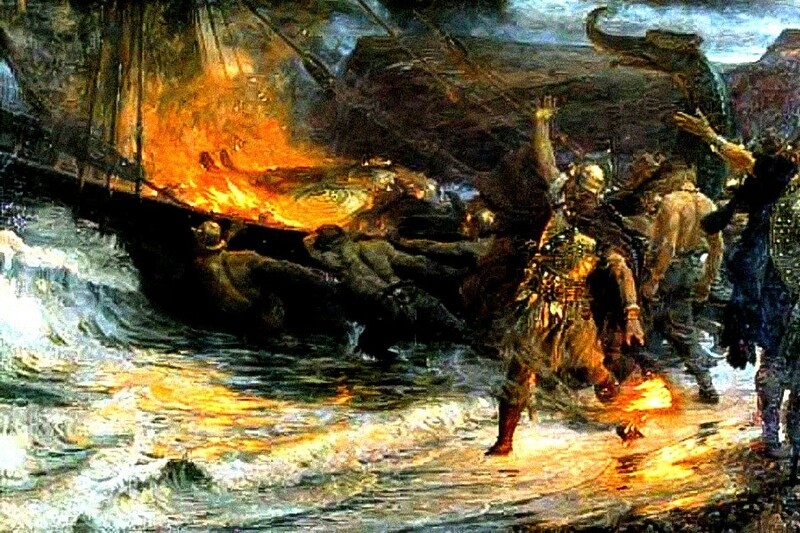 They reminded Kainyn that a pyre of this sort was relatively rare – most Ulfen dead were buried in the ground in the fashion traditional throughout Golarion, although sometimes the retainers of a leader destined for a pyre would be disinterred so as to accompanying their liege on the longship. Live people were never included – that was a pernicious rumor, spread by southerners who felt superior to the northmen and knew nothing of their ways. Esteban, southerner that he was, was chastened by the women to squelch that rumor among his countrymen when the opportunity arose, now that he knew better. Any living person, even a prisoner, would almost certainly be heard – the early parts of a longship pyre were typically conducted in silence, only later taking on a more raucous, celebratory timbre. It was still quite early and still quite dark when the group arrived at the gate of Kalsgard and petitioned the somnolent guards for admittance. Tendrils of mist rose from the warmer ground and coiled around the corners of building, around trees and wagon wheels, as they made their way to the Inn. A mere four notches of the hour-candle had passed when they stumbled in, rousing the barmaids and giving instructions to be woken just after dawn. Esteban frowned at Mitch’s insistence that the group rise after only a couple hours of much needed sleep, but he capitulated grudgingly under Mitch’s glare. Fat pots of steaming tea and chicory-thick coffee adorned the tables in anticipation of the group’s arrival downstairs the next morning. The common room was suffused with grey light, as thick clouds shrouded the city like a blanket of thick, dark wool. The fog had fully flourished in the intervening hours, and visibility was limited to a few streets’ distance. 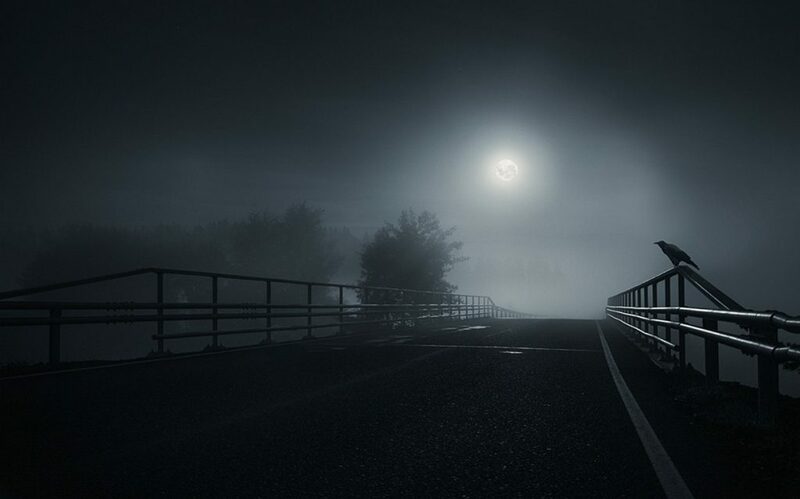 Early morning travelers would pass into silhouetted obscurity in the distance, melting into the heavy fog like ghosts. All eyes turned toward the comely you woman, whose quizzical look at her suitor was tinged with a bit of trepidation. She made her way over to Mitch. “I WANT TO BE HUSBAND WITH YOU!” Each word launched itself out of Mitch’s throat like a catapult stone. Nisha’s mouth dropped open in surprise. Kainyn laughed aloud, while Esteban grinned and nodded. Bilana looked at the man tenderly, her eyes welling with tears, and she perched herself on his knee. It took Mitch a moment to puzzle through Bilana’s meaning, as he’d thought initially that his proposal had been rebuffed. But then a look of understanding came over his face. “Does that mean ‘yes’?” he asked. “Of course it means yes!” Bilana explained, playfully punching her betrothed in the shoulder. A loose cheer rattled the beams, and Mitch’s face shone with commingled relief and happiness. “A pyre? Not today,” said the barmaid with a sneer. Celebration behind them, the group now had to locate a ship, and in Kalsgard that meant speaking with a dockmaster. The nearest and best was in the Fire Quarter, and if there was to be a longship pyre, they’d know the details there. They ambled through gray morning, fog curling around their ankles like cats, blocking their sight and dampening the normal noise of a northern city morning. “Look there,” said Nisha, tapped Theodric on the shoulder and pointing to a nearby roof. On it a crow stood, preening it’s wing like a tiny black gargoyle. It turned to stare at the company, an odd intelligence in its pitch black eyes. Theodric followed the line of Nisha’s finger, then nodded when he eye lit upon the bird. As if in response, the crow lifted off and flew toward the north, disappearing instantly into the fog. Seconds later, two arrows thudded into Nisha, one in the shoulder and one high in the chest. Nisha fell sideways toward Theodric, who held her upright. Nisha sagged toward the ground, blood beginning to soak her clothes. “Theo, help her!” yelled Mitch, as Theodric eased the stricken woman to the street. “Esteban, find them!” Mitch drew his sword and ducked against a nearby wall, thinning his target profile and scanning the street. Esteban had his bow out in a trice, standing behind where Nisha had been shot (her and Theodric were at his feet now), and calculating the tracks of the arrows. ‘Where would I be,’ Esteban wondered, ‘… if I were an assassin?’ His eyes bounced from point to point, finally alighting on a nearby roof. ‘There,’ he nodded to himself. Cover, concealment, and a perfect view of the street. His intelligence was rewarded, after a fashion: watching the roof, he saw the top of a longbow rise up from behind the peak. Another arrow arrived, striking Nisha in the thigh. She emitted a small moan of pain. “Get her in that alley,” said Esteban, reaching into his pack and removing a pair of flasks. Theodric dragged Nisha out of the line of fire, pressing the wounds firmly while attempting to remove the arrows while Esteban tossed the flasks lightly at his feet. “Give her those, it will help,” Esteban said. He moved forward, drawing an arrow and nocking it. “Mitch!” The larger man looked back. “Roof!” Esteban gestured upwards with the point of his arrow. Mitch moved forward, using the awnings and walls of the nearby buildings to give him what cover they were able, while Esteban drew and waited. Soon, he saw the longbow rise above the peak of the roof again, and without hesitation Esteban loosed two shots. Esteban watched the arrows curve over the roof and slam home, hearing the muted “oof” of the assassin. Mitch ducked into an alley and Esteban, following the larger man’s train of thought, realized they needed to cut off the assassin’s escape routes. Esteban drew again and ran to cover the connecting alley. “She’s drunk something and disappeared!” Mitch hissed from down the alleyway. Esteban blocked the entry to the alley, ensuring the assassin (‘she?’ he mused) couldn’t get passed him, then waited, bow drawn. A few moments later, Mitch turned the corner of the alley, sword in hand and one eyebrow raised. 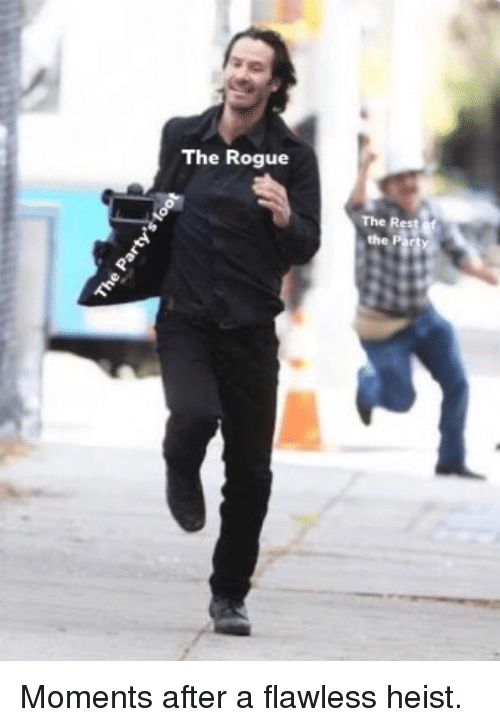 “Did you see her?” he asked. Esteban ran back to the street, positioning himself with a clear view of the opposite alley exit.He waited, poised like a snake to strike, watching the street. His unblinking eyes had just begin to water when he saw a stirring in the dust. 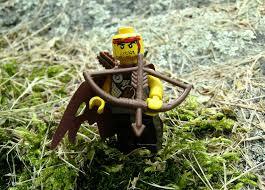 THWING went Esteban’s bowstring, the arrow careering down the empty street. He drew another, listened carefully and shot again. “Augh!” came an unseen female voice. Esteban’s arrow had disappeared, and he grinned. He saw an untended horse across the street, hooves stamping nervously, and Esteban’s grin got wider. He shot again, twice, and on the last shot the woman materialized, falling in a heap in the street. Mitch picked up the unconscious woman, festooned with arrows and headed back to the alleyway in which Thedric and Nishu hid. Nisha was sitting up, the blood from her wound staunched but still pale and breathless. She looked over at Mitch with confusion. “Theo, is she dead?” Mitch asked, laying the assassin on the street near him. Teodric arched one eyebrow at Nisha, who nodded, and then turned to examine the woman while Mitch stripped her of weapons and armor. Theodric placed one hand on the assassin’s chest, then put his ear near to her mouth. “She’s breathing,” he pronounced. “Albeit not very well, with all these holes in her.” He drew out one of Esteban’s arrows, and the assassin arched her back and emitted a small groan. 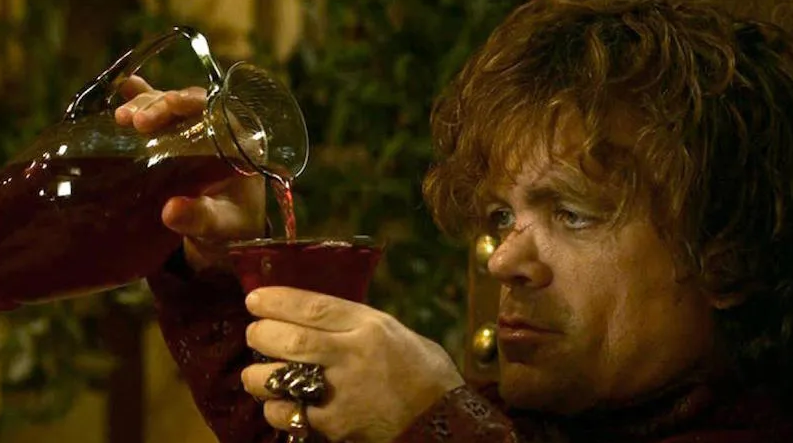 Theodric nodded, uncapped the flask, and poured the reddish liquid down the assassin’s throat. At first nothing happened, then she coughed and the wounds began to close, blood slowing to a stop like water from a dammed river. Theodric rapidly pulled the remaining arrows from her, watching blood glurt from the wounds and then quickly coagulate under pressure from the healing draught. The woman’s breath came in ragged gasps, and her eyelids fluttered as consciousness returned to her. “Why Nisha?” Mitch asked. “Why her?” he pointed to Nisha, who was sitting up against the same wall, recovering from similar wounds. Nisha snorted, trying to hold back a laugh but the arrow wounds still paining her. “These three hundred gold pieces will help with our upcoming travels,” Esteban said, seemingly to himself. Mitch stood up. “Untie her,” he told Theodric, who did so. The woman got achingly to her feet, then looked down at her bow and armor, laying on the street near Nisha. The assassin, shoulders slumped, nodded once, walked over to Esteban and took the reins from him, mounted and rode off. An hour later the dockmaster, his eyes clinging to Nisha’s curves, licked his thick lips one last time and told the group that the funeral pyre was to take place at dusk at pier 37. That pier was one of the longest, he told Nisha, stretching out the last word lasciviously, and there weren’t many other boats moored nearby. “It’s relatively… private,” he said with a wide, gap-toothed smile. The docks themselves rang with activity, despite the fog (which even Mitch had to admit was slowly burning off as the day warmed in the sun) and the hour (eight increments off the hour-candle). The group passed through the crowds of fishermen, mongers of various sorts, merchants and warehousemen with aplomb, until finally approaching 37. It was, as the dockmaster had told them, longer than most of the piers, extending into the basin half again as much as the nearby piers. The fog partially obscured the longship tied to the far end. At the near end, incongruously, were nearly twenty guards, milling about and talking among themselves. The group passed by the pier and its guards and kept moving, eventually turning back and heading to the Inn. There, they made a deal with Ooksaka: she had a friend with kayaks – small, highly maneuverable watercraft that had the additional benefit of being silent. Meet me at 2, she said, and my friend will get you what you need to get aboard that longship. The party rested for a few hours (much needed) and then made their way back to the docks. 200 meters farther down from pier 37, a small inlet sat placidly. It was far too small for a large boat, or even a light caravel, to dock. But it was perfect for flatboats, canoes of all sorts, and kayaks. A half dozen of the latter rested on the beach, tended to by Ooksaka. Her friend, a thin, hairy Ulfen man, said nothing as Ooksaka got everyone, including herself, into the small boats and ushered them out into the inlet. For the next hour, everyone practiced maneuvering the small, sensitive whaleskin boats. Esteban proved remarkably capable, and assisted some of the others, but after an hour Ooksaka declared they were “… as skilled as they were likely to get,” and showed them the way into the larger basin. It took nearly a half hour of paddling, as quietly as possible, before the dusky outline of the longship hove into sight. The group paused about 20 meters away from the vessel, peering into the fog that roiled slowly around the deck. They could see the rough pyramid of logs rising in the center of the deck, a red-orange glow underneath it, barely visible. The group tied the kayaks together and clambered aboard, the lifelessness of the ship eerie even in daylight. Atop the unlit pyre, a wrapped body lay in repose. Nisha conjured several gallons of water atop the glowing ember, drawing some steam and dampening the wood but failing to extinguish the small, plate-like igniter. “We have some time, but we should hurry,” she said. Esteban unlocked the large cargo hatch, then let Mitch clamber down the rope ladder leading into the hold, following soon after. Mitch and Esteban found themselves surrounded by piles of valuables – presumably the worldly goods of the dead man atop the logs – and Esteban began to rifle through them as Mitch ventured into the hold, looking for Ulf. The only response was a low growl, and into the dim light skulked something that Mitch, at first, assumed was a man. It mewled at him, hissed, then leaped forward to attack. Mitch advanced to attack, but the creature got to him first, raking his face and neck with claws as cold as the frost. So cold, in fact, that Mitch’s body rebelled against the touch and recoiled. His sword felt heavier in his hands, and his body seemed to gain density. He wanted to lie down. Instead, he called out: “Esteban, aid me!” The young archer looked up from his looting, them leaped upon the rower’s benches, running across them to flank while he fitted an arrow onto the bowstring. His first arrow buried itself in the bulkhead, but Esteban drew another and stood on a bench, taking his time with the shot. Neither of them noticed the commotion on the above deck. Upon hearing Mitch’s call for help, Nisha began scaling the hempen cargo net downward into the hold, leaving Theodric to keep and eye on things and alert them if the igniter began to do its job. But so engrossed in his work was he, that he failed to see three Ulfen guards slip onto the deck and surround him. they battered the poor alchemist with axe and sword, driving him to the deck in a mist of blood. Once the zombie had been dispatched, it became apparent that Theodric was beset, and so Mitch and Nisha hurried to the upper deck. “Esteban, check that other body – make sure we get no more surprises!” said Mitch before they departed. Esteban found a man, bound and hooded, atop one of the rower’s benches. The bound man was, indeed, not Ulf. 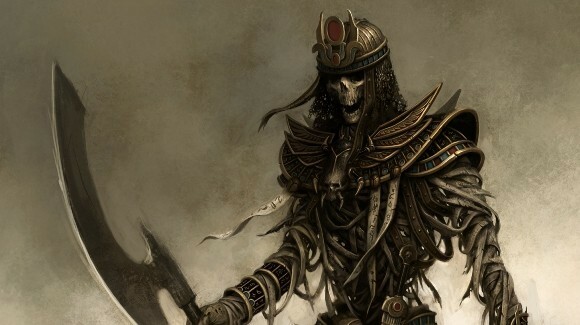 He was a Tien, clad in the baroque, ornate armor of that land. Esteban tore away his gag. “Why are you not Ulf?” he asked. “Zài zhè sōu chuán biàn chéng dì yù zhī qián, gěi wǒ sōng bǎng ba, nǐ zhè ge shǎ guā!” The man held out his bound wrists and waggled them at Esteban. “Jiù xiàng wǒ shuō de,” the Tien said with a nod, and together they made their way to the ropes. Esteban sent the Tien ahead, then looked around quickly and grabbed an ornate helmet from the pile of goods stacked around him. “Alas…” the Tien heard him whisper. Mitch and Nishu had made short work of the men who’d accosted Theodric, but too late as it turned out. The man lay on the deck, far too much blood already seeping into the deck. Nisha was kneeling next to him when Esteban emerged from the cargo hatch. She turned to look at him, and shook her head sadly. Further away, the bottom logs and pitch began to smolder vigorously. “We have a small problem,” Mitch said. “Can we swim it?” asked Esteban. Mitch shrugged. “Aye, cappy,” Esteban said with a salute and a wink. Even the Tien assisted, and soon most of the best looking items from below were safely in the boat. the Tien slashed the mooring rope with a long curved sword, while Mitch seated himself at the oars and, with a push, the four pulled the laden boat away from the longship. The watched in silence as the ship caught and flamed, the pitch going up swiftly, until the ship was just a flaming hulk, burning to the waterline.